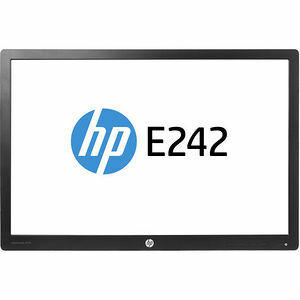 Be a master at multi-tasking with HP EliteDisplay E242 24-inch Monitor Head Only, which delivers Full HD resolution and an extra-large screen for all of your work. See more of your work onscreen at the same time with 1920 x 1200 resolution and a 16:10 aspect ratio on a 24-inch diagonal screen. Collaborate easily with 178-degree viewing angle IPS technology that gives almost everyone in the room a great view. Get an intelligent, energy-efficient design that is ENERGY STAR® certified, EPEAT® Gold registered, and meets TCO Certified Edge requirements. It also has mercury-free display backlights, low halogen, and arsenic-free display glass.